The Elvis Team Berlin is an official promotion partner again. Booking starts now! A unique TCB Cruise with the original Band of Elvis & Dennis Jale, Elvis' wive Priscilla and his best friend Jerry Schilling. Additionally, Terry Blackwood & The Imperials are joining the cruise! Experience many special events on board of the Norwegian Epic and enjoy the route through the western Mediterranean! Route: Barcelona - Napels - Rome - Florence - Cannes - Palma - Barcelona. Priscilla Presley will provide many rare insights into her live with Elvis to the fans and the TCB-Band (James Burton, Glen D. Hardin und Ronnie Tutt) will rock the stage with Dennis Jale. Terry Blackwood & The Imperials will sing their beautiful gospels. Furthermore you can join the autograph sessions, Elvis-discos, movie nights and several meet & greet sessions. 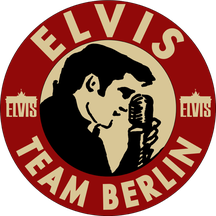 The Elvis-Team Berlin is on board again, too! Our team is accepting your bookings now. If you book via us you receive our personal assistance service on board free of charge. Don't miss this outstanding Elvis event and make sure you make a reservation today! In order to book the cruise simply send us the registration form at this email address: office@elvis-team-berlin.com. The Elvis Team Berlin is just an official promotional partner for the TCB Cruise and does not receive any pecuniary advantage. 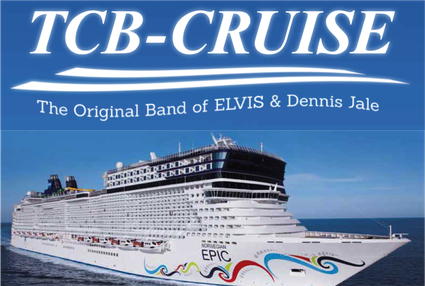 The Elvis Team Berlin is forwarding the binding registration directly to the cruise organizer. The organizer is handling the registration. There is no cash flow via the Elvis Team Berlin. The contract is directly concluded between the customer and the cruise organizer. The mentioned prices are set by the cruise organizer and the team has no influence on these.